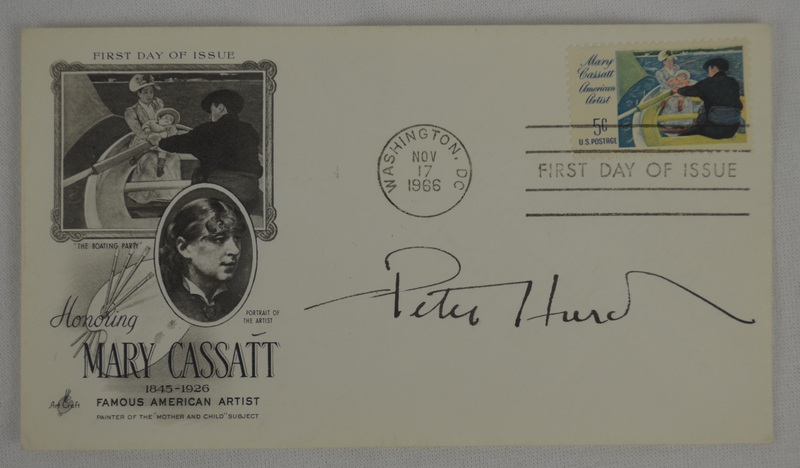 This First Day Cover dated November 17th, 1966 has been signed by Peter Hurd in black pen. Hurd was an accomplished painter who lived and worked in San Patricio, New Mexico. He is equally acclaimed for his western landscapes and his portraits. He studied under the famous illustrator NC Wyeth and was married to Wyeth’s eldest daughter, Henriette Wyeth, also an accomplished painter. 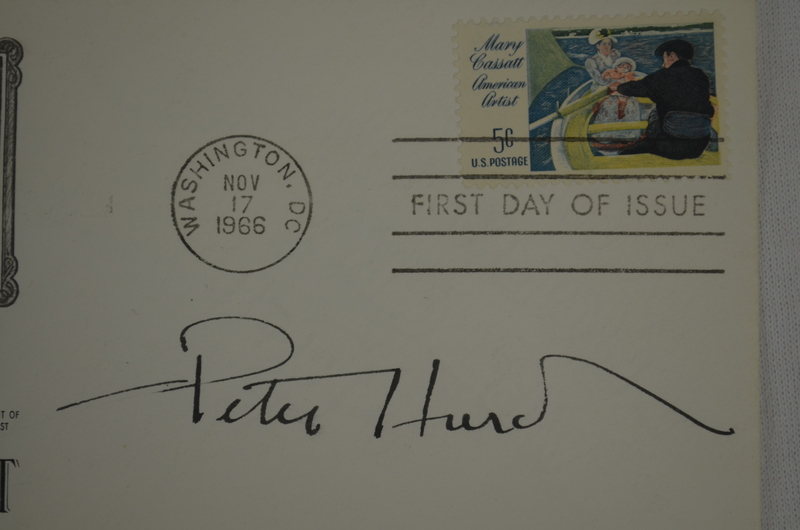 Hurd passed away back in 1984 at the age of 80 making his signature a particularly difficult one to obtain.